So, after missing the March event due to weather and the April event due to work, I was able to run at the May event last Sunday. This was the first event with the Firestone Firehawk Indy 500 tires. First, a little tire review. myself either pushing too hard and plowing into the corner due to under steer or not pushing enough and taking a corner too slow, costing me time. Despite that, I'm not disappointed with the tire. 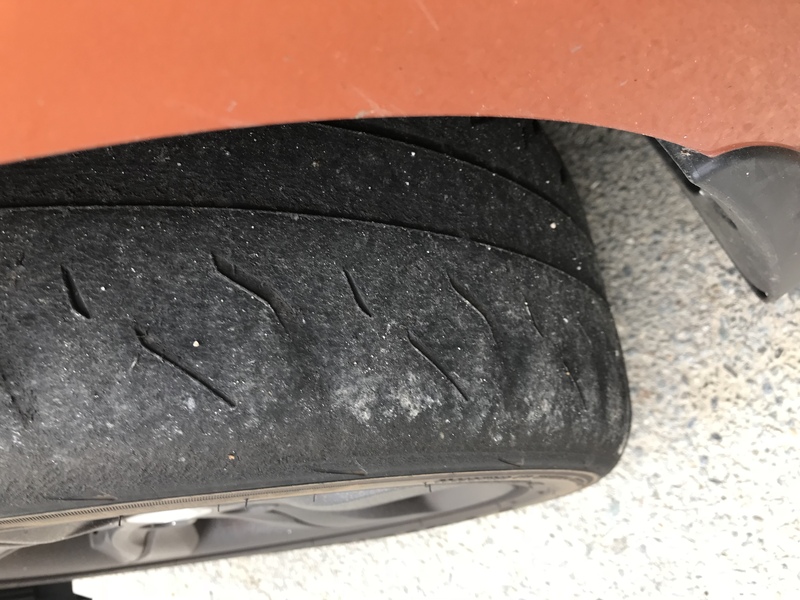 I find it to be almost perfect on the street and would happily buy again for daily use but on the track, it just can't keep up with stickier tires. Now, my results. GS class in my local SCCA autoX is actually pretty competitive. Had two Focus STs, a MK7 GTI, and a MazdaSpeed 3 to run against this month. Right off the bat I'm under powered, there are some that say it doesn't matter but I completely disagree. To make things even more difficult, those cars where running 200 treadwear tires ( RE-71R and RS3s). So despite getting as much as I could from the Firestones, I finished 5th(last) at about 5.1sec behind 4th. Looks like I'm gonna need a set of spare wheels and some more competitive tires. Poor wallet. Last edited by TC4Tay; 05-13-2018 at 12:28 AM. I noticed the same things you did about the Indy 500s—good grip till the limit then its snap oversteer whilst trail braking. Got a set of 595RSRRs now and they’re incredible. Loud as all hell, but set up properly they can really really grip. I feel like the limits of the tire are past my mental limits at the moment which is what I want. Gives me room to grow into them as a driver. Also they’re a little over half the cost of the RE-71s for 95% of the grip. The 595rsrr's are really good for the price. I run a 17x9 and 235 40 17 and very happy. Running within spitting distance of a Focus ST with 100whp and slicks. You'll probably gain 2 seconds on tires and a second can e gained on alignment imo. Yea I'm considering the 595RS-RRs and a spare set of turbo wheels if i can find them cheap. One thing I do need to do is get a better alignment. Car is two years old and has 30k miles, I'm sure that alone will help me as you mentioned. I agree with the better alignment, I'm running -1° up front and that's on my VT which is a daily driver, I would recommend at least -1.5 or up to -2 depending on how competitive you want to be. The Extreme performance "AutoX" tires will give you about 1.5 second advantage. An alignment about .5 seconds. Driver experience about 3-5 seconds. 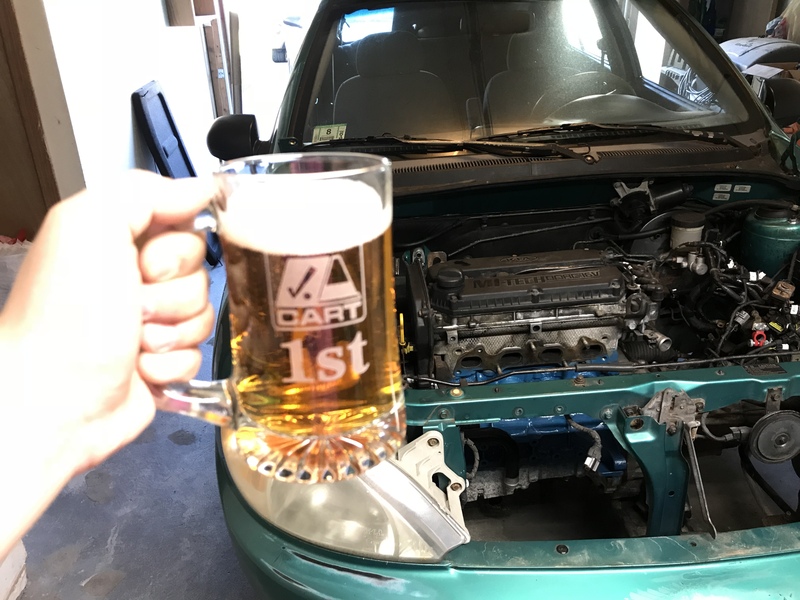 May I ask how many AutoX have you been to? I watched your video 3 times and the first chicane, I personally would have been on the power earlier. A found a few other small mistakes and you add them all together, adds up to about 2-3 seconds. I've won 4 local AutoX championships when I was very active about a decade ago, so the good news is I see a lot of room for improvement. Fast in, fast out, tight lines, practice, for front wheel drive cars try to use the throttle to help balance the car and turn in, it will help alleviate the understeer. Also do you have a front strut tower brace? If not, get one ASAP. Also adjust tire pressure, you should be around 43 front and 29-32 back. Maybe 34-35 if you need to rear to rotate more. In the VT, it's only my second autoX but its not my second ever autoX. I ran autoX religiously every month from 2007-2012(2 local championships) with some HPDE here and there. Then kinda got out of auto racing since then 'till this past February. I think performance driving is a perishable skill and i'm still learning what the VT likes to do when pushed. So, taking tires and alignment out of the equation, I know there is still time there that's purely my fault. As for strut tower brace, I've been looking at getting one as long as it doesn't knock me out of street class. Last edited by TC4Tay; 05-15-2018 at 07:33 AM. RPW00Mirage and GreyhoundVT like this. These re71r have about 8500 miles, 14 autocrosses and four track days. For me the extra grip isn’t worth the lack of longevity anymore. The new star specs should improve on an already great tire I’m hoping. Last edited by TC4Tay; 05-15-2018 at 07:32 AM.